We are delighted to welcome you on our web site which is dedicated to providng information about the licensed parallel distribution of medicines in Europe as well as on the EAEPC itself. For EAEPC members: please contact the Secretariat to gain access to the private section of the website. 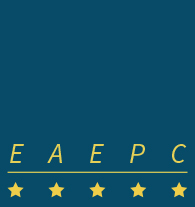 EAEPC represents Europe's licensed parallel distribution industry, an integral part of the European pharmaceutical market that adds value to society by introducing price competition for patented medicines and a supplementary layer of product safety.